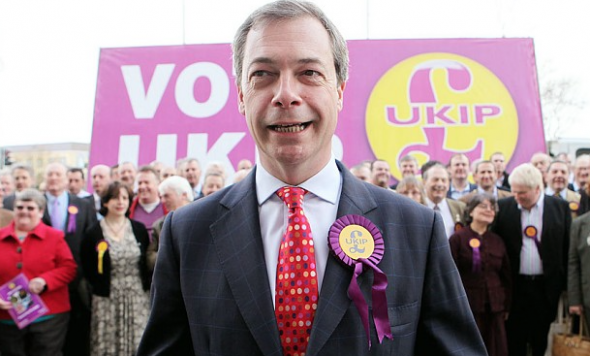 UKIP published a comprehensive manifesto for the 2015 General Election – the most extensive to date. As the party matures from a protest movement on Europe and immigration, the party worked hard to draw up a raft of positions and proposals across the spectrum. In essence, you could describe the manifesto as not that far away from the current Conservative policy platform. It is further to the right of the perceptions of the ‘modern’ Conservative Party, ostensibly renewed by David Cameron, but in reality not that far away from the current government’s positions on areas such as welfare, renewable energy and education. Many policies one might even put to the left of Conservatives, such as getting rid of the bedroom tax, protecting housing benefit for the under 25s, increasing the Carers’ Allowance. And then in some policy areas there is a reminder of the party’s origins. So the Right to Buy will be maintained, but only for British Nationals (or non-British Nationals who have served in the Armed Force), cuts to the foreign aid budget, preventing foreign nationals from obtaining access to social housing until they have lived here and paid UK Tax and National Insurance for a minimum of five years. On devolution, the party calls for reforming the Barnett formula according to needs, recognising that Scotland is much better funded than Wales. It also starkly claims that this will immediately save £5.5bn in government expenditure. UKIP is the only party to include a chapter on British Culture. It challenges multiculturalism, highlights the teaching of British history and culture and will end the use of multi-lingual formats for documents (except for Welsh and Gaelic). The party also produced a Wales version of the General Election Manifesto – see here.